Most YouTube videos are in FLV format, but users are no longer limited to FLV formats! With mediAvatar FLV Converter you can convert FLV files according to your wishes, such as convert FLV to MP4, FLV to AVI, MPEG, WMV, DivX, MOV, etc., so that you can enjoy and share flash videos, or FLV, easily and extensively on any portable or home device (iPhone, iPod, Xbox, PS3, PSP, Apple TV plus others). Additionally, mediAvatar FLV Converter is also a video to FLV converter, making it possible to convert other video formats to FLV in high audio and video quality for uploading to YouTube or other video sharing sites! Download mediAvatar FLV Converter for free now. It couldn't be easier! Watch the FLV videos downloaded from YouTube or other video sharing sites on your digital devices, you only need this FLV to video converter to convert FLV to MP4, AVI, MPEG, DivX, XviD, WMV, 3GP, RM, MOV and such video files. The video to FLV video converter can also convert DivX, XviD, WMV, 3GP, MPEG, AVI, and MP4 to FLV video files so uploading any videos to YouTube or other video sharing sites becomes possible. 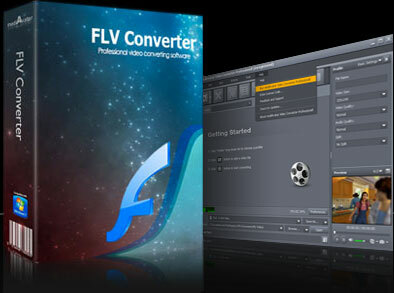 By introducing NVIDIA® CUDA™ and multi-core CPU processing technology, this FLV converter offers you the optimal speed to convert FLV to videos and videos to FLV by detecting your CPU configuration. mediAvatar FLV Converter supports batch conversion and multithreading, so that you can convert multiple FLV videos simultaneously to save time and trouble. Change settings and other parameters such as video quality, video codec, channel, bit rate, frame rate, etc. Create your own settings and save as profile for future use. Choose multiple formats for one file, convert them at the same time and you will get multiple files with the same content but different formats or settings in one step. Choose a certain clip from a video and convert just that by setting the clip time and duration. Spare the confusion and hassle by letting the bit rate calculator do the file-compressing – just type in the expected file size and it will do the rest for you. With mediAvatar FLV Converter you can split a file into several ones by setting the file size or file duration. Run the software in background to save resources and do more important tasks on your computer at the same time. Preview original or edited videos on the built-in player; it is also possible to save screen shots with the Snapshot option. To save time and avoid waiting, set one of the following actions: exit, hibernate, stand by or shut down, , to be performed by the software automatically after a task is done.